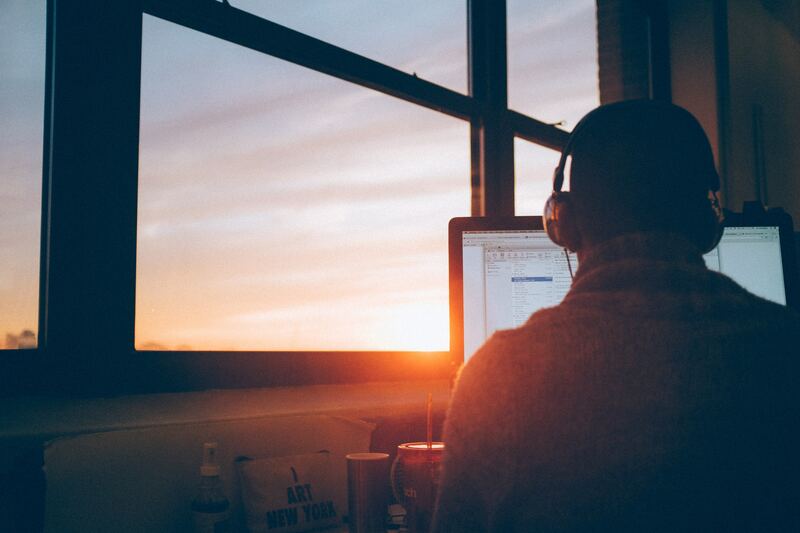 A productive workspace is all about your mindsets and habits. I’m feeling reflective, so I’ve been thinking back on all those years and all that work. Here’s one thing that stands out: I wasted a lot of time and attention obsessing about my workspace. For example, at Google, I worked at a desk that was configured for my body by an ergonomic consultant, with display risers and a keyboard tray and a thousand-dollar chair that was set to precisely the right height. Once I let go of the perfect workspace, I drifted comfortably into informal, makeshift working environments. When we moved to San Francisco, there was no room for a desk, so I used our dining room table as my workstation. Meanwhile, I wanted to try a standing desk at the office, so I put in a request with the ergonomics department (that’s a real thing at Google) and got an electric adjustable desk with push-button controls and programmable presets. It was ridiculous. But I wanted to stand at home, too. I discovered that I could stack a few thick books on a tall speaker to bring my laptop to the proper height, and that became my DIY stand-up desk. It was great. I took my computer on planes, trains, and buses; I worked at cafés and airports. I spent more time thinking about my focus and my energy and my work, and less time trying to get my workspace right. In 2017, Michelle and I moved onto our sailboat and began traveling the Pacific coast from San Francisco to Panama. My workspace was a compact U-shaped dinette in the cabin of our sailboat (where we also ate our meals). The boat was often moving, even when we were anchored in a protected bay. The Internet was squeezed through a weak cellular connection or a faraway Wi-Fi network. It wasn’t sophisticated, but it worked. From that table, I did lots of editing and writing (and some design work) as we coaxed Make Time through the production process. And now I’m back in the USA, living in Milwaukee, but my workspaces are still haphazard: I’m writing this on my phone at the airport in Newark. At home, I still work at the dining room table. The other day, I set up a recording “studio” in our extra bedroom by draping blankets over a laundry drying rack and an ironing board. I still use the speaker with the stacked books as my standing desk. I don’t have an office. When I read that, something clicked: The perfect workspace was all in my head. But the things that did help, again and again, year after year, were also in my head — they’re the mindsets, habits, and philosophies I use to build a daily practice of building energy, finding focus, and making time for the work I want to do. It starts with motivation: Selecting a daily Highlight to plan my day around. Distraction is a constant struggle — with smartphones, social media, and the news — so I’ve made these distractions harder to access by removing Infinity Pool apps from my phone and logging out of addictive websites. I keep my mental energy high by taking care of my body with daily walks, real food, plenty of sleep, and quality breaks away from screens. And I’ve learned there’s no perfect formula for making time, so I try to Reflect a little every day on what’s working and where I want to improve. What about you? Does making good use of your time require an ideal workspace? Or do you get a bigger boost from internal factors like habits and mindsets? Where and when do you do your best work? Let me know by replying on Twitter. ¹ I can practically feel the objections mounting, so here’s a disclaimer: My experience doesn’t apply to everyone in every situation. Sometimes, workspace design matters a lot—although my point here is that it probably doesn’t matter as much as you think. And if you suffer from repetitive stress injury (RSI) from using the computer, it’s critically important that you address it. For what it’s worth, I had some RSI issues in 2010–2011 and the solution was not a more perfect workstation but more variety in my working environments throughout the day.